Brave a taste of this poisonous fish for which chefs require years of training and a fugu license! Enjoy an easy and convenient reservation service by booking through Klook! 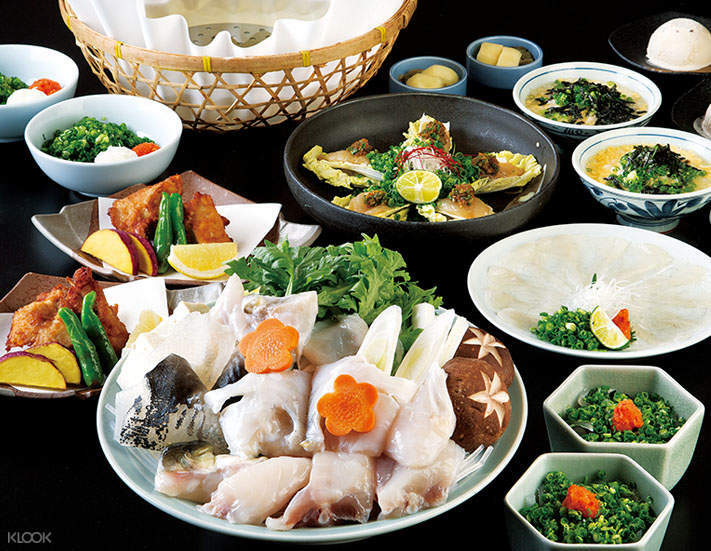 Enjoy Japanese-style pufferfish with a stop at Guenpin Fugu, Japan's number one fugu restaurant with over 96 outlets in the country! 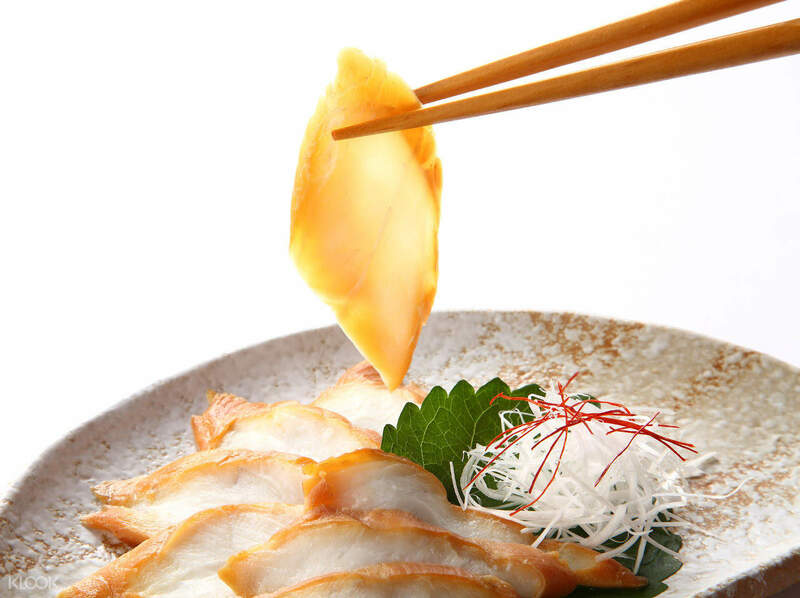 Using their original techniques that are internationally-patented, Guenpin Fugu gives you the chance to taste the tiger pufferfish, the highest-quality in the country. 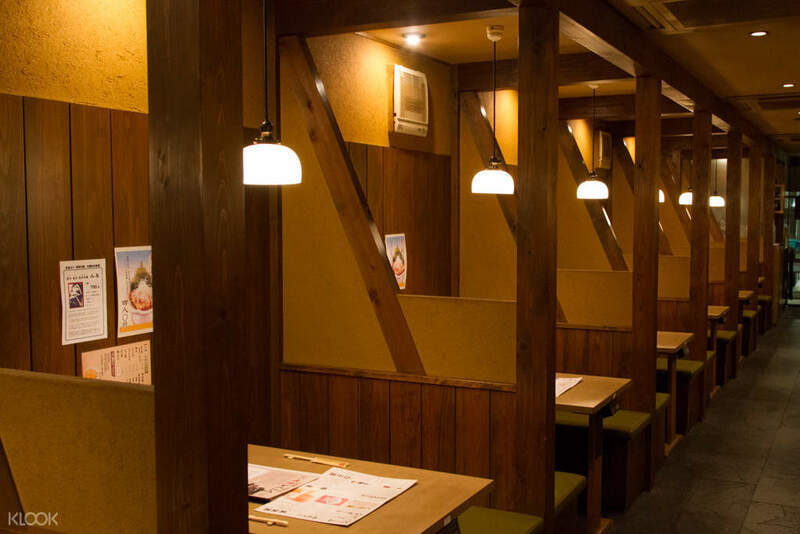 Admire the restaurant's classically Japanese interior that features wooden paneling on the walls, cozy lighting, and traditional ceramic tableware as you dig into the authentic local cuisine. Savor the unique taste of the pufferfish by choosing from Guenpin Fugu's multiple-course meal sets: Guen, Daigo, Tenraku and Guenyaguen, all of which are prepared by highly skilled chefs with years of experience preparing pufferfish - if prepared wrong, it might be your last meal! delicious! the ambience so good, google let me walk too far away. but its so near metro station! the sashimi lil bit chewy and its so tasty. my favorite is the porridge amd deep fried fugu. delicious! the ambience so good, google let me walk too far away. but its so near metro station! the sashimi lil bit chewy and its so tasty. my favorite is the porridge amd deep fried fugu. Highly recommended to go for the experience. Food and service was good! The best was when the collagen jelly was and broth from the hotpot was used to cook porridge. It was Da Bombz! Highly recommended to go for the experience. Food and service was good! The best was when the collagen jelly was and broth from the hotpot was used to cook porridge. It was Da Bombz! Very good puffer fish meal! Service was excellent. 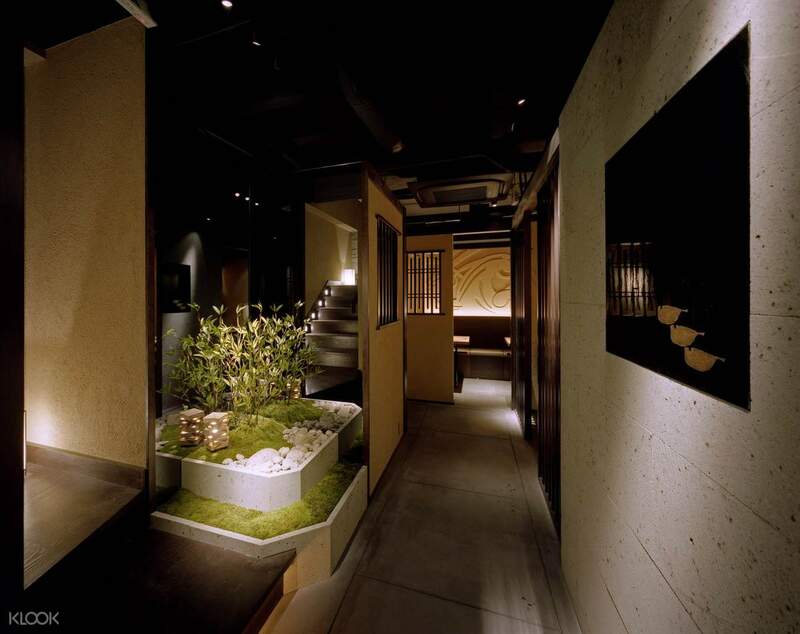 Highly recommended if you are in Tokyo. Very good puffer fish meal! Service was excellent. Highly recommended if you are in Tokyo. First try. It’s a very good experience. Good service too. First try. It’s a very good experience. Good service too. Place was easy to find, staffs were really friendly and overall atmosphere was great. Greatly enjoyed the food and experience, our favourite is definitely the fried puffer fish, thick sashimi and the porridge cooked in the hotpot soup. It’s worth the try! Place was easy to find, staffs were really friendly and overall atmosphere was great. 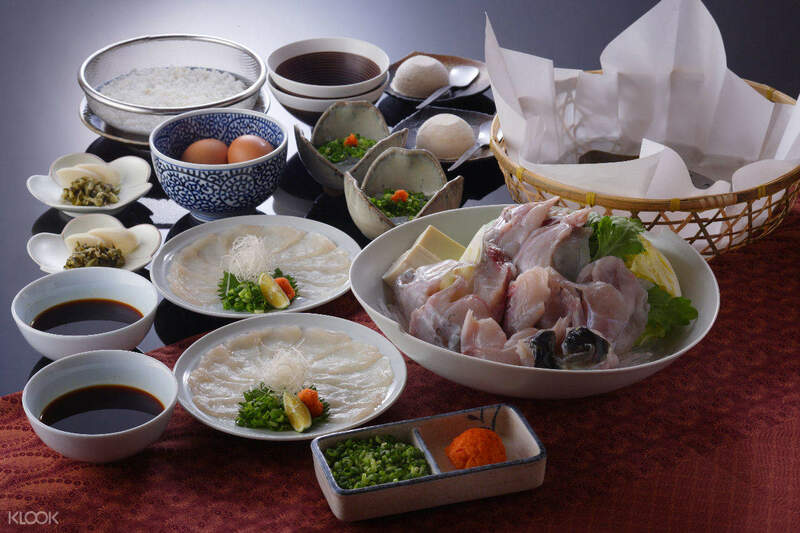 Greatly enjoyed the food and experience, our favourite is definitely the fried puffer fish, thick sashimi and the porridge cooked in the hotpot soup. It’s worth the try! I came to the Shimbashi location by myself with very few expectations and I had ordered the most basic 5-course meal. I was greeted warmly by the staff and within minutes I was escorted to my table. If you never had pufferfish, you must try it! it's the most delicious fish and I did not feel sick at all! I had the fish skin salad,, sashimi, hot pot (using the rest of the fish), rice porridge (made with the hot pot soup) and lemon gelato dessert. The staff was outstanding and helpful in the cooking and explaining how to eat the dishes. It is a definite must-try experience for everyone. The location is a bit hard to find as there are no English signs or pictures of pufferfish. I almost went to the wrong building if I had fully listened to google maps (it brought me to a place with posters of large breasted cleavaged girls so I knew that it wasn't the right place). I came to the Shimbashi location by myself with very few expectations and I had ordered the most basic 5-course meal. I was greeted warmly by the staff and within minutes I was escorted to my table. If you never had pufferfish, you must try it! it's the most delicious fish and I did not feel sick at all! I had the fish skin salad,, sashimi, hot pot (using the rest of the fish), rice porridge (made with the hot pot soup) and lemon gelato dessert. The staff was outstanding and helpful in the cooking and explaining how to eat the dishes. It is a definite must-try experience for everyone. The location is a bit hard to find as there are no English signs or pictures of pufferfish. I almost went to the wrong building if I had fully listened to google maps (it brought me to a place with posters of large breasted cleavaged girls so I knew that it wasn't the right place). We ordered 2 puffer fish sets and one of them come with the fried puffer fish meat and it is tasty. Service is good and the waiter is very polite and helpful. We ordered 2 puffer fish sets and one of them come with the fried puffer fish meat and it is tasty. Service is good and the waiter is very polite and helpful. the place in Roppongi is rather hard to spot but nevertheless the owner was nice enough to serve us when we were almost 30mins later (from finding the location ofcos!) the puffer fish they serve is amazing especially the sashimi 🐡 it was really fresh and tasty! the place in Roppongi is rather hard to spot but nevertheless the owner was nice enough to serve us when we were almost 30mins later (from finding the location ofcos!) the puffer fish they serve is amazing especially the sashimi 🐡 it was really fresh and tasty! A good experience. The store is quite easy to locate. Deep fried dish is the best. A good experience. The store is quite easy to locate. Deep fried dish is the best.